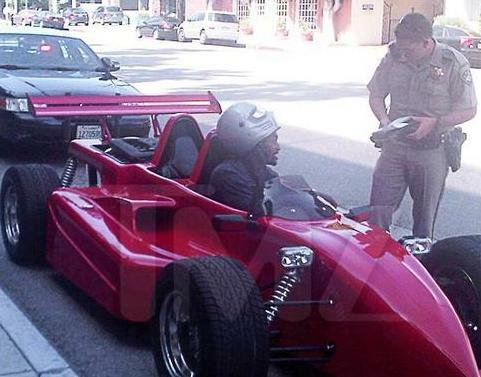 When you see this image of Ron Artest in his street-legal Indy-inspired kit car (which holds a 235-hp Chrysler V6 engine), you would think he just got booked for speeding. Surprisingly, that was not the case. Artest was stopped by an LAPD officer while riding in his Eagle Roadster (that apparently is what they call it) for having an expired registration. For a guy who claimed to be broke and was riding around in his friend’s beater just two years ago, spending $200k on this monstrosity seems like quite the improvement.